Is your computer running very slowly? A common symptom of a virus is much slower than normal computer performance. However, there can be other reasons for slow performance, including a hard disk that needs defragmenting, a computer that needs more memory (RAM), or the existence of spyware or adware. For more information about spyware and virus removal, contact a local PC Geeks Computer Technician! Are you getting unexpected error messages, or are programs starting automatically? 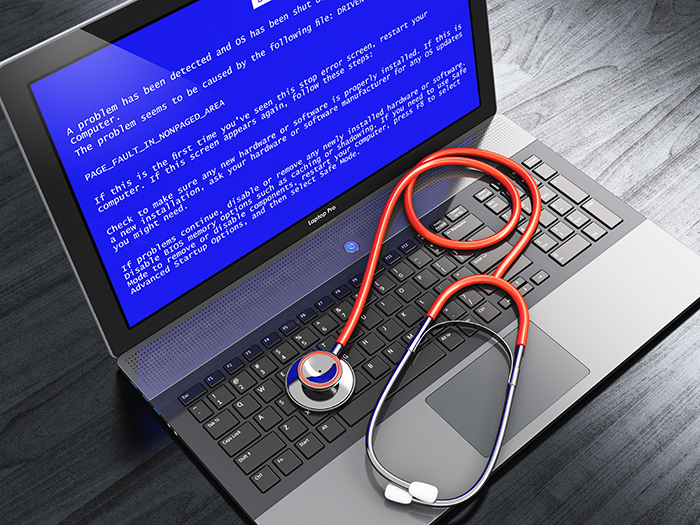 Some viruses can cause damage to Windows or some of your programs. The results of this damage might include messages appearing unexpectedly, programs starting or closing automatically, or Windows shutting down suddenly. Is your modem or hard disk working overtime? An e?mail virus works by sending many copies of itself by e?mail. One indicator of this is that the activity light on your broadband or external modem is constantly lit; another is the sound of your computer’s hard disk continually working. 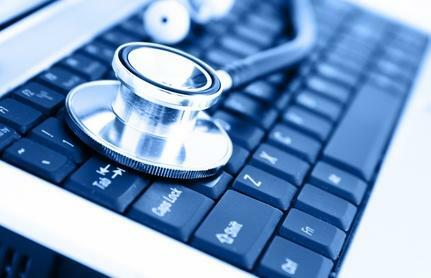 These are not always symptoms of a computer virus, but when combined with other problems, can indicate a virus infection. To check for viruses, scan your computer with an antivirus software. New viruses appear every day, so keeping your antivirus software up-to-date is very important. For more information about computer security, go to the Security at Home page on the Microsoft website. To learn how to remove malicious software (malware) from your computer, go to the Microsoft Safety Scanner webpage. Does My Computer Have A Virus? Read the full article here or Call PC Geeks! PC Geeks Supports Our Troops! PC Geeks is proud to support those who serve our country. Active duty and retired military personnel receive a 10% discount off the labor of work performed by PC Geeks technicians. Contact PC Geeks to learn more about our military discount! Microsoft plan to package the Spartan browser with its new Window 10 operating system. This radical overhaul will include new features not found in other competing web browsers. The Windows 10 browser allows users to annotate a web page with a stylus and send the notes and annotations to a friend or colleague. The web note service will be powered by Microsoft’s OneDrive cloud storage, meaning notes will be stored on a copy of a web page that can be accessed by any browser across multiple platforms. As annotations are shared, multiple users can doodle on a web page and share edits and annotations between groups. Other features include Microsoft Cortana integration and the ability to group tabs for better organization. Click here to learn more about the new Windows 10 Browser. In the event that someone is forced to take their computer in for that inevitable repair one of the most frustrating moments is when they have to decide who is going to be the right fit to do the work that they need, in a manner that is both satisfying and convenient. There are many choices for consumers. They can risk the long lines and red tape of the major big box stores, or the smaller local technicians that are often just around the corner. How do you know who you should trust with your private data and machines? While big box stores have the advantage of well known names and spend millions on advertising every day to ease your concerns, this does not mean that their work is superior, or faster in any way compared to the thousands of small shops all over our country. The truth is, the big box stores are not even really interested in fixing your computer, what they want is for you to buy a brand new one on their showroom floor, and some of these corporations even operate their computer repair divisions at a financial loss just to get you to look at a new computer! It is very common for us independent technicians to hear the stories and troubles that consumers have had getting even the most basic and common of computer repairs done at a big box store. Month long wait times, ballooning costs, lost data and even missing components upon return! It is even common for these companies to send your computer out of state to giant repair mills for weeks on end to have true computer repairs done that should have taken a couple days. Good luck getting the same technician twice in a row, and this means whoever is working on your machine has no reliable history on your machine and its tendencies. Below are just a few reasons to find a local independent computer technicians and stick with them. As mentioned above, by using the same technician over the course of your computer’s life, you are allowing the technician to learn the traits, quirks and background on that machine and often this means better computer repairs. Consistency in service is a great thing and is almost impossible in a big store environment, the prices tend to remain constant, the technicians are almost always there for the long run and they are going to remember you! If a small independent shop says it can do a specific repair it likely can not only do that repair, but can do it with their own hands without sending it off across the country. This will save you time and money. In truth, selling new computers while also offering repairs is a bit of a conflict in interest, in the big box stores it almost always results in less emphasis on repairing what may be a completely serviceable machine as opposed to just forcing you to buy the device du jour; and unfortunately, that is not any guarantee that your new machine is going to become the next great thing or last any longer! In the small independent shops, we are here to repair the machine you have, and we will honestly let you know if that is not a good idea. How Can I Protect My Computer Against Malware? Malware is software written to infect computers and commit crimes such as fraud and identity theft. It has become big business in the past few years. As a result, if you use a computer for web surfing, shopping, banking, email, instant messaging, and gaming without proper protection, you are putting yourself at high risk of being victimized. The vast majority of malware infections exploit security holes, so the most important part of PC hygiene is to keep all your software up to date. Microsoft releases patches on the second Tuesday of each month, so either let your PC install them automatically, or install them promptly. Once a patch is released, malware programmers can reverse-engineer the fix to find the security hole and exploit it. Some other programs – including the Firefox and Google Chrome browsers – will also install patches automatically. This is almost always a good idea for home users. Anti-virus software safeguards against Trojans, hackers, spyware, and more. The anti-virus, anti-spyware, firewall, anti-spam, anti-phishing, and backup technologies work together to combat today’s advanced multi-faceted attacks. It scans disks, email attachments, files downloaded from the web, and documents generated by word processing and spreadsheet programs. Malware is not just a nuisance issue. While malicious software can be cleaned from a system, newer generations also introduce data miners that can store that information and sell it. That could mean that if banking or tax information was in the computer when the malware infected it, personal information could be all over the world in no time. Our technicians evaluate your computer to determine whether a cleaning or a re-installation of your operating system is needed. People are often surprised at our affordable pricing for these services, call PC Geeks today to learn more!